Studio Tenn's perennial smash-hit "A Christmas Carol" will take the stage at TPAC's Polk Theatre in partnership with Humanities Outreach Tennessee (HOT). Featuring design elements inspired by the Victorian/Industrial Era-presently enjoying a resurgence in the world of high fashion-this unique production evokes the styling and silhouettes of Charles Dickens' day, but with strikingly modern twists. 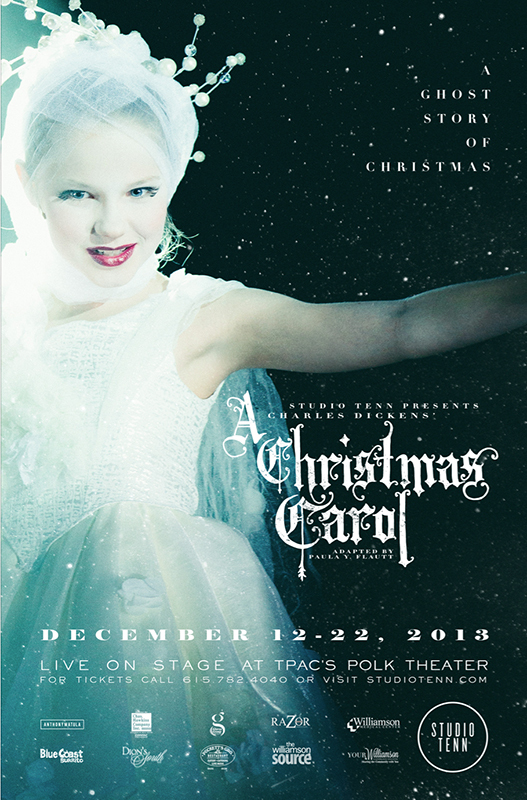 Fusing classical and current aesthetics and theatrical techniques, Studio Tenn's innovative re-imagining of this holiday favorite transforms the familiar tale of Ebenezer Scrooge into a fresh, enthralling and unforgettable experience-a contemporary triumph for a truly timeless piece.